Sharing the experiences I live through food. Island girl living in Houston, Texas. I’m preparing for a trip to Japan. I haven’t read about protocols to keep in mind whenever I’m on the Japan Railway, or where I’m supposed to take off my shoes. Or how to say “Could you please show me where is the bathroom?”… I did watch that very interesting video about the history of Japan… I’m putting all my hope in live-translation-apps, and all of the Ramen bars I have saved on my Google Maps, the rest is up to my partner and that’s how things are. Another way I prepare for a trip is eating dishes from the cuisine of the country I’m travelling to. That’s how I ended up making this today. Orange chicken is not one of the most famous recipes out there, that I’m aware of. It’s no secret that I love Asian cuisine. 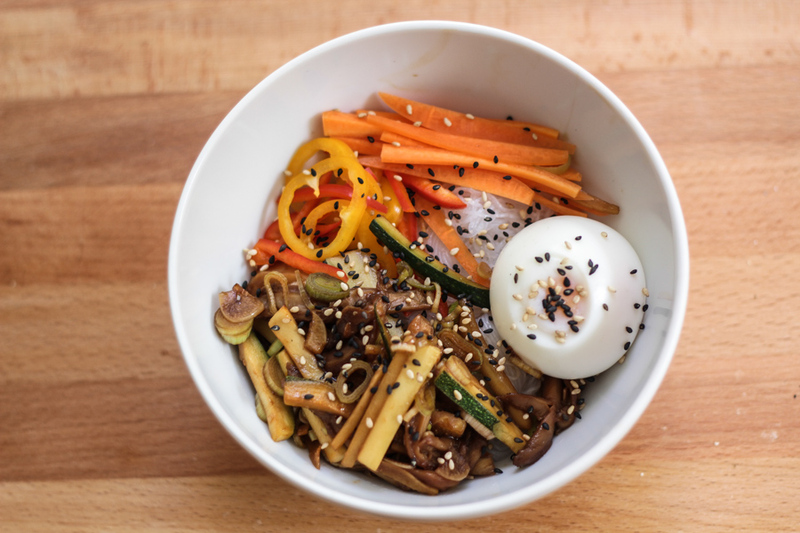 To avoid making an ignorant generalization, this includes Japanese, Vietnamese, Chinese, among other cuisines from other countries in the region… I always try to make sure my pantry is always stocked with ingredients that highlight these cultures, such as miso paste, soy sauce, fish sauce, bonito flakes. 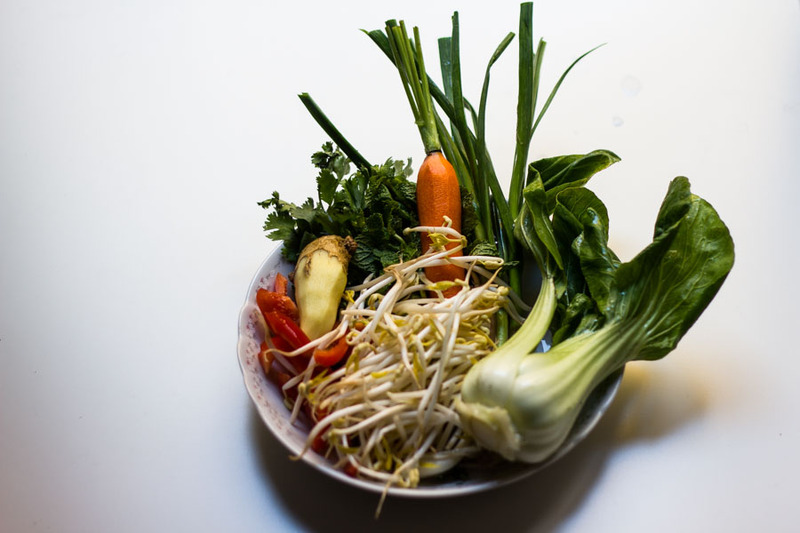 Also fresh produce like bok choy, cilantro, bean sprouts, lemongrass… For me, it’s like taking a little trip every time I take the time to prepare myself a delicious plate of food. Or when I’m cooking for my friends or my partner. It’s something that I really love and enjoy. Perhaps one day I can go through my pantry and show you guys my favorite ingredients, would you be into that? Let me know in the comments or tweet me at @possiblyjoanne! 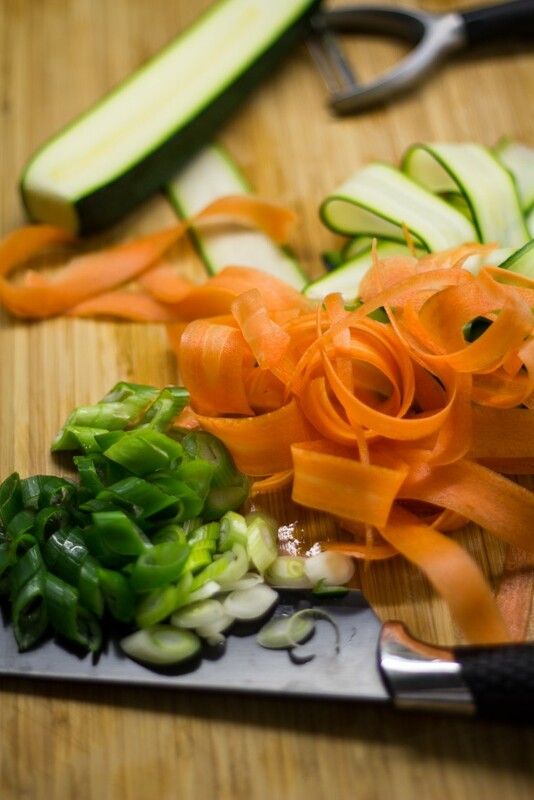 One of my favorite things of this type of cuisine is the predominant use of fresh produce it conveys. It can be so inspiring! That’s why this dish that I’m sharing today was a bit uninspiring to make. I’ll elaborate a bit more: I’ve just come back home from a trip to Paris with my partner and we came home to an empty fridge. The only things I had that would make good use for a hearty lunch was: frozen chicken, oranges, and ginger. My pantry was stocked, of course. No hassle there. So I thought “Hell! 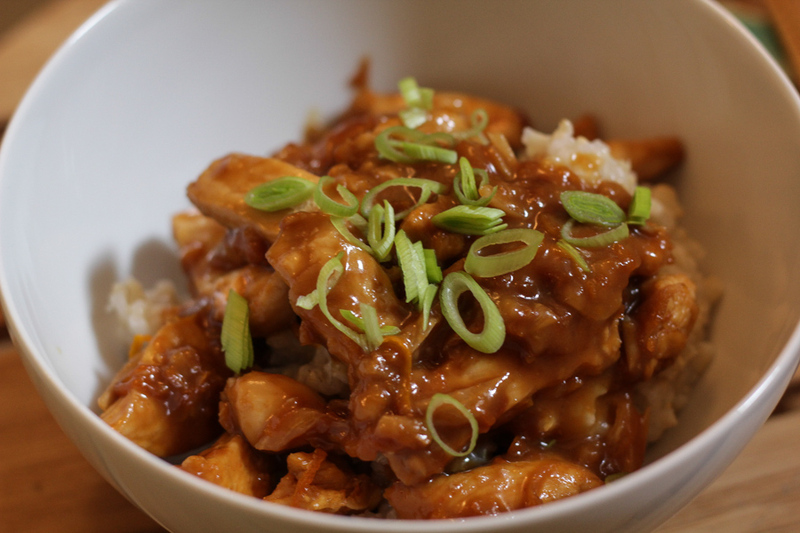 Why not reinvent a french dish I enjoyed in Paris, duck l’orange and just make… Japanese orange chicken?” I don’t know. Somehow it made sense in my mind and I went with it. But I needed something that would make everything a bit tastier. 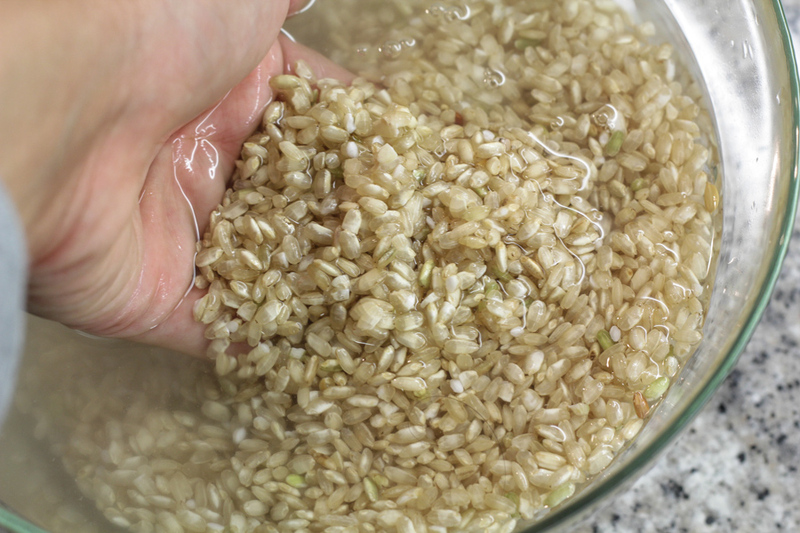 Some sticky brown rice is always perfect for this kind of dish. And I will say, the outcome sure was delicious. And here it is, Orange chicken and sticky rice. First, I’ll explain to you guys how I made this sticky rice. 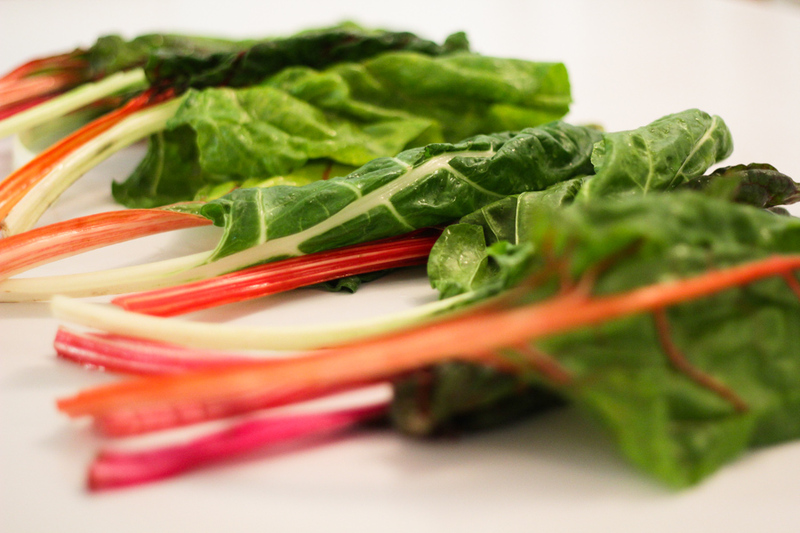 And swiss chard is in season! So it’s time to get people who don’t like eating leafy greens, eating them! 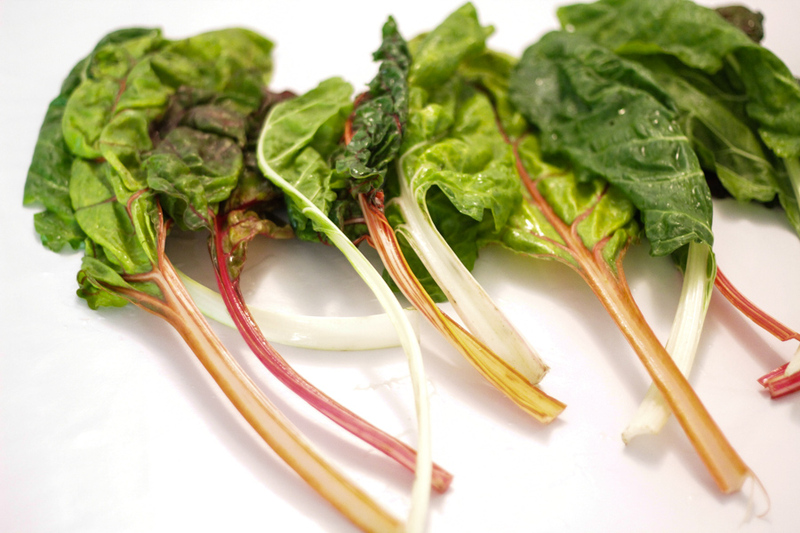 I always try to develop and create new ways to make leafy (and usually boring) greens tastier. This is where the Japanese ingredients and salmon comes in. My boyfriend (and food guinea pig) is an adult child and really hates greens, so, challenge accepted. Game on. 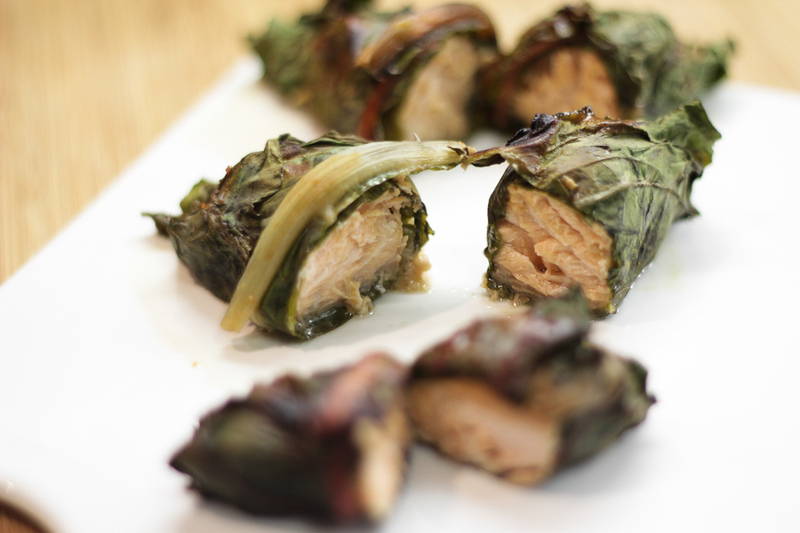 So that’s how I came up with the idea of miso glazed salmon fillets wrapped in swiss chard. 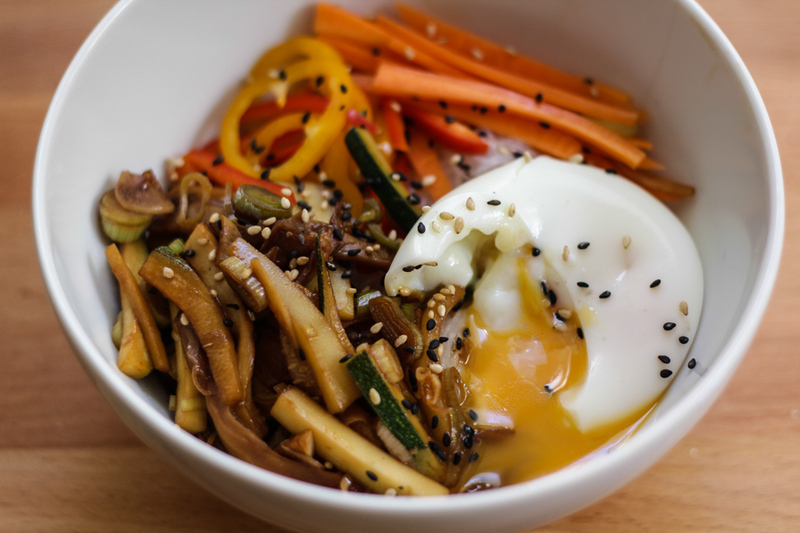 I try to always keep Japanese ingredients like miso paste, rice vinegar and soy sauce in my pantry. They’re a must. Not only because I love those flavors but also because it’s a kind of diversity I enjoy having at least once a week (Spanish food can get boring after a while). I love carb-loading. Ain’t no shame in that, maybe just a little guilt. That’s why I add veggies so I can feel better about it, ha. Right. 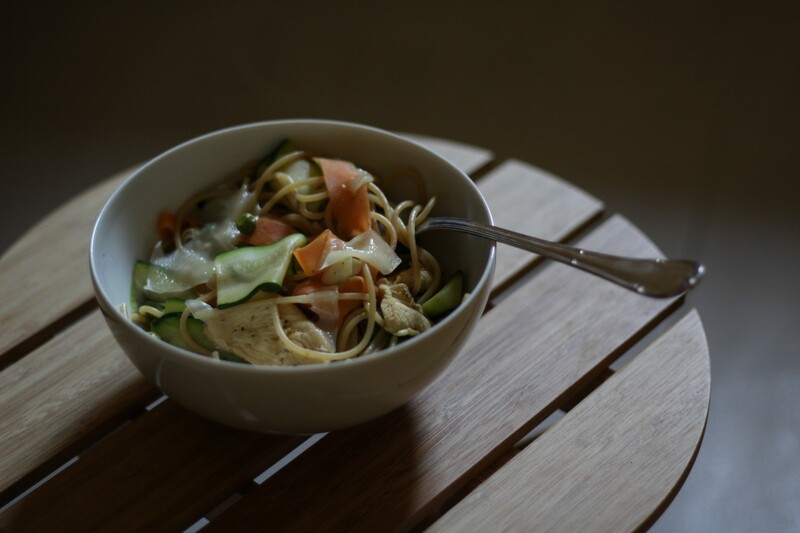 Either way, there’s something comforting about having a bowl of pasta on a cloudy day. Never as comforting as soup, but comforting even so. It’s rather cloudy today in Barcelona, and it has been for the past few days. Something rare in this city, it’s almost always sunny for the most part. This type of weather usually calls for soup but, for some reason it felt like a hassle to make one. Or better yet, I was just being beyond lazy, (I have today off from my 9 to 5 job) so I decided to make this ‘spring’ pasta, sans the sun, plus chicken. It’s the holidays and I’m two days shy of getting home, finally! I can’t wait to be spoiled and pampered by my family for a few days. To me, it’s like heaven just to think about it! 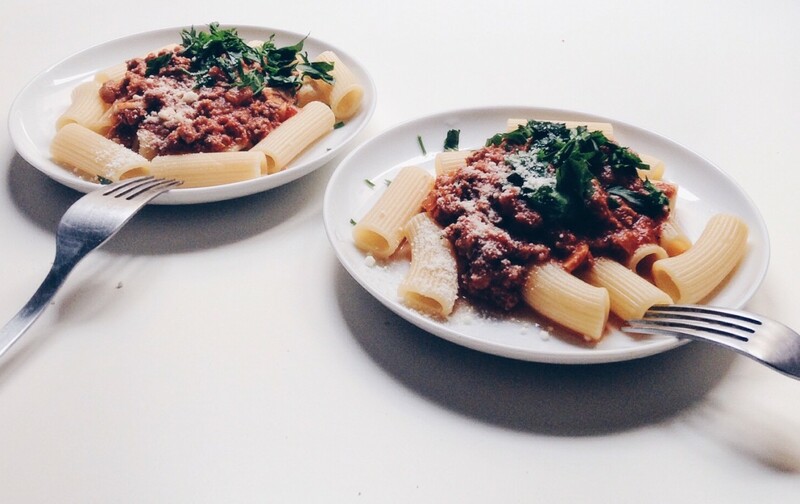 But, in the meantime, I have to spoil myself with one of my favorite dishes from my childhood: rigatoni bolognese. This recipe yields two and this is what you’ll need. For the rigatoni: Boil some water for the pasta for about 15 minutes. Once you’re ready to add the rigatoni add some salt and boil it away. 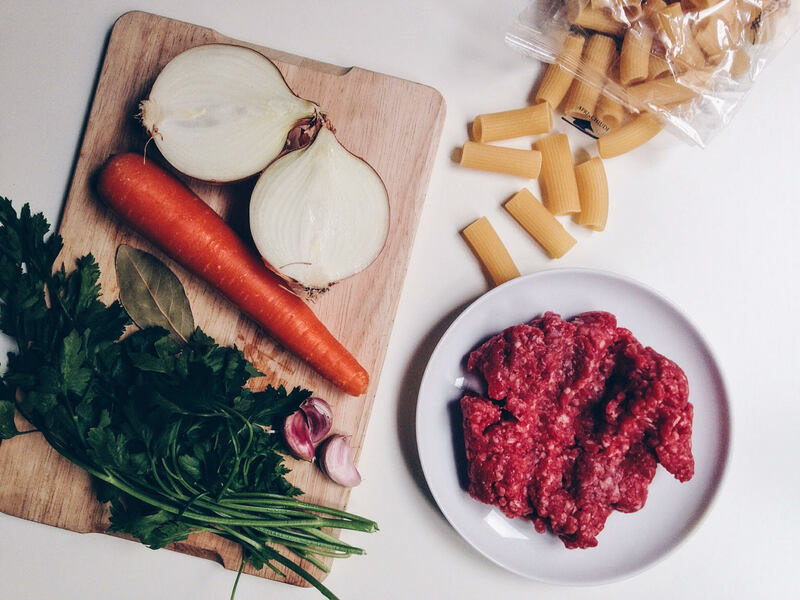 For the bolognese: Cut up the onion into small pieces, the carrot into halves. 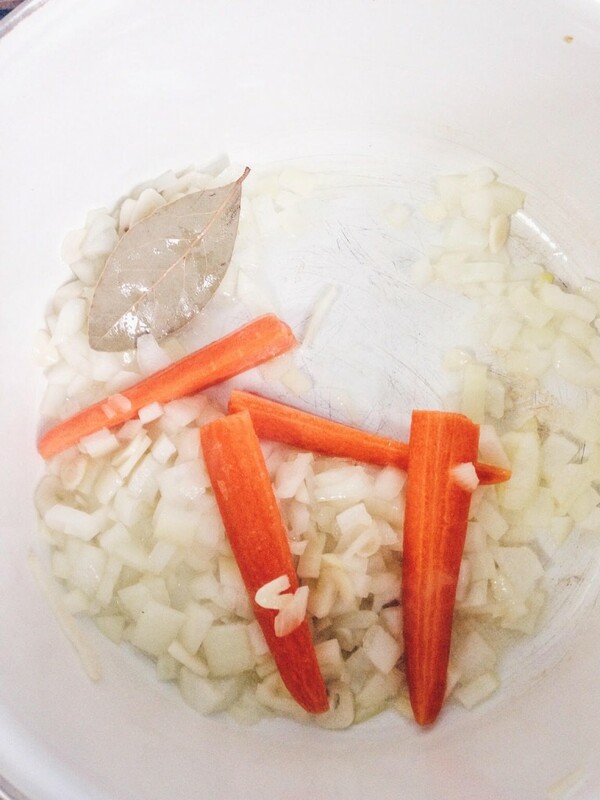 Sautee the onion and carrot in olive oil with the bay leaf. Add the minced beef meat, sautee it with the onion, carrot and bay leaf until it’s slightly brown. Then add the crushed tomato and let it simmer for about 15 to 20 minutes, at medium-low heat. Taste, taste, taste. Add a pinch of salt and pepper. If it’s too acidic add a pinch of sugar to balance it out. Taste again and adjust the balance of the salt to your own liking. Top with parsley and parmesan cheese and there you have it! 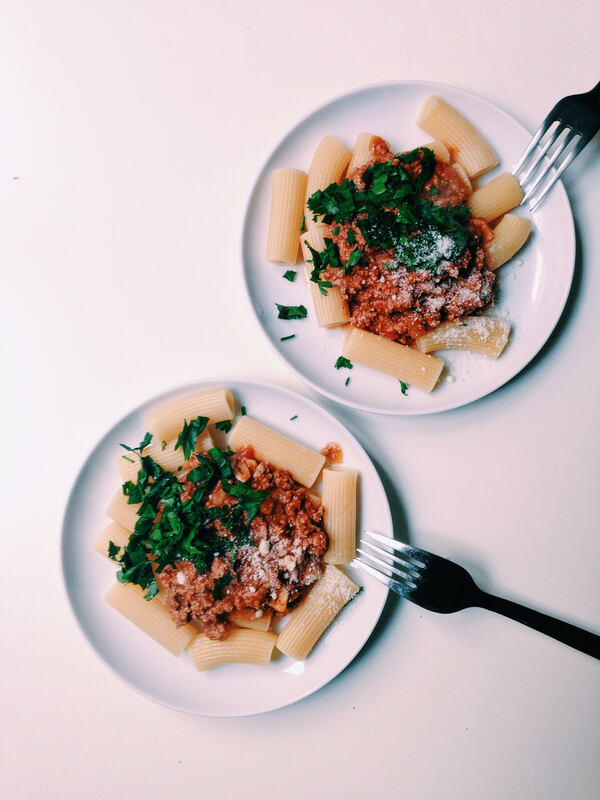 Rigatoni bolognese! Each time I go to the market I get overly excited to buy fresh produce. Kind of like a child at a candy store. Everything is so colorful and my attention is everywhere. Colors. Textures. Taste. That’s mostly why I love making Asian inspired recipes, not only you get a wonderful flavor, but you also enjoy a diversity of textures. Also, who doesn’t like looking at a bright spread of fresh produce? …Vegetarian ceviche style! God, I love ceviche on a crostini. It’s probably my favorite fish dish, except this isn’t a fish dish. Anyway, lemon-lime and everything acid truly make me happy, especially when this kind of vinaigrette seeps into toast or a crostini. I can already feel my tongue tingle. 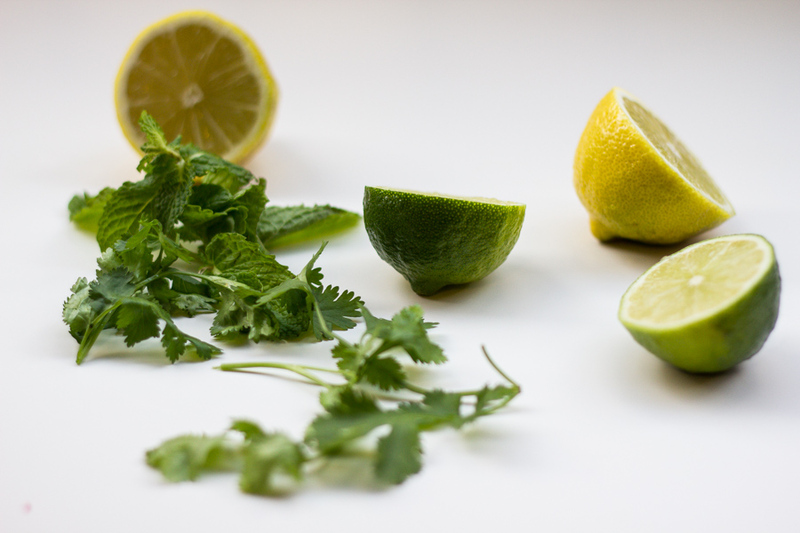 I also really enjoy the combination of mint and cilantro, reminds me a lot of Vietnamese style dishes (which are amazing!). 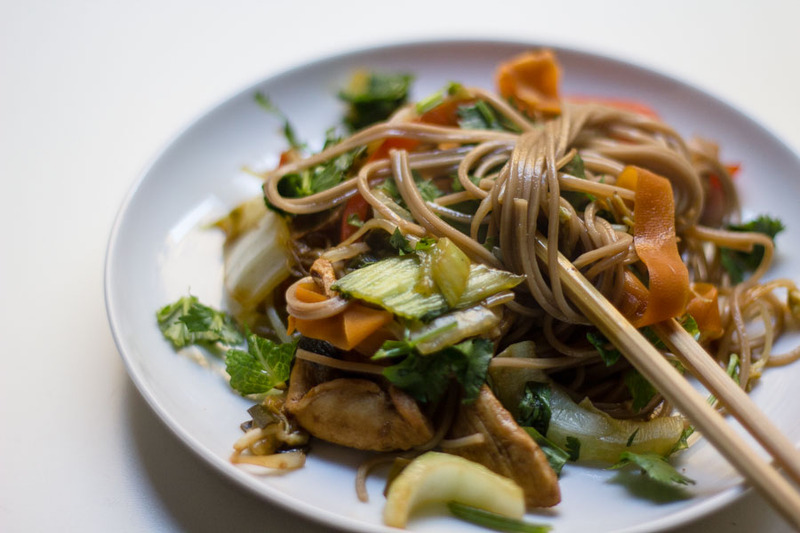 This recipe is a very simple and quick one to make. Crostinis make the best kind of tapas! For guests, for date night, for yourself, it doesn’t really matter! 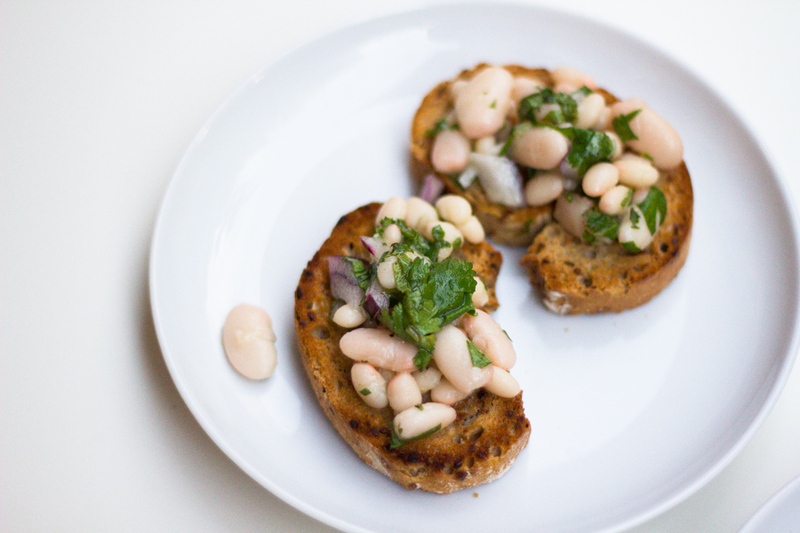 Making the topping for the crostini is quite straightforward, you can use any kind of beans, it doesn’t matter. It’s not like you’re going to run a Likert scale questionnaire on yourself.